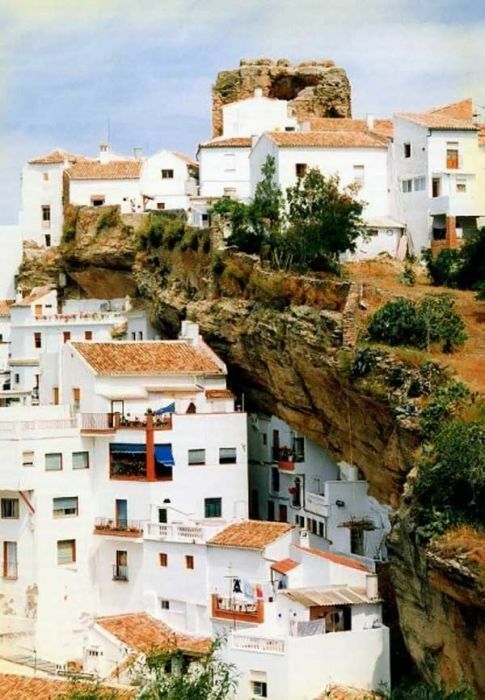 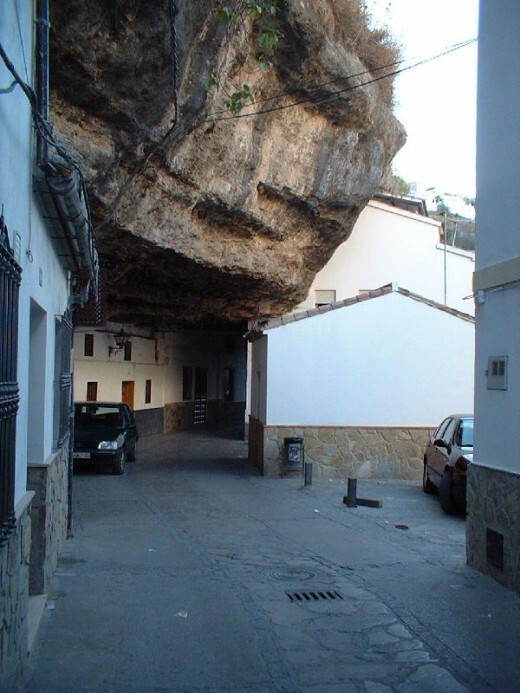 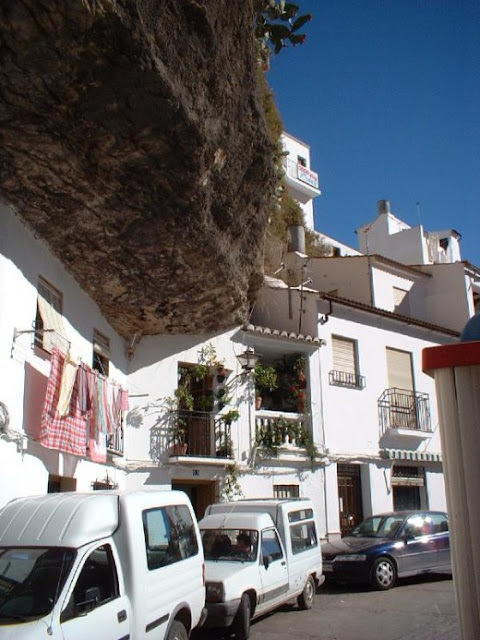 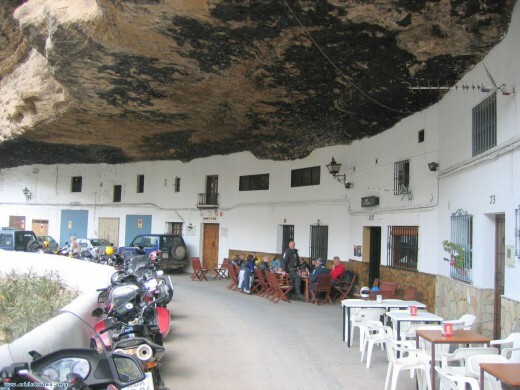 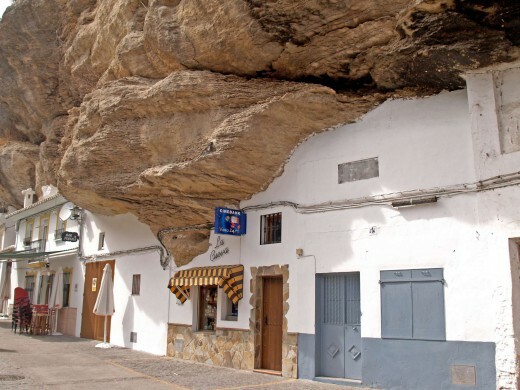 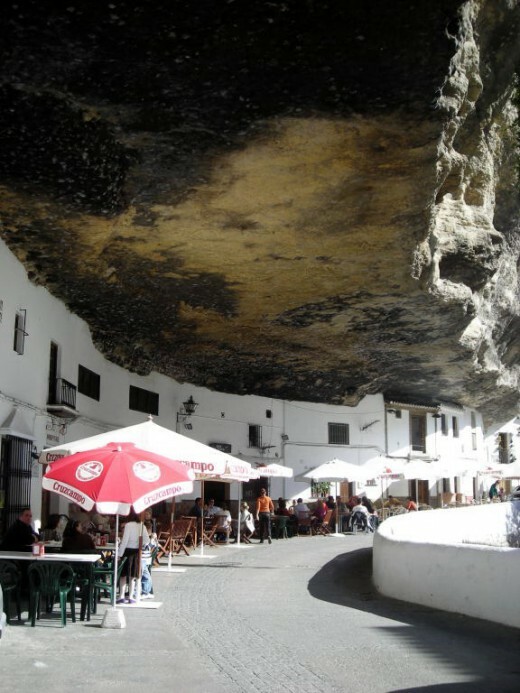 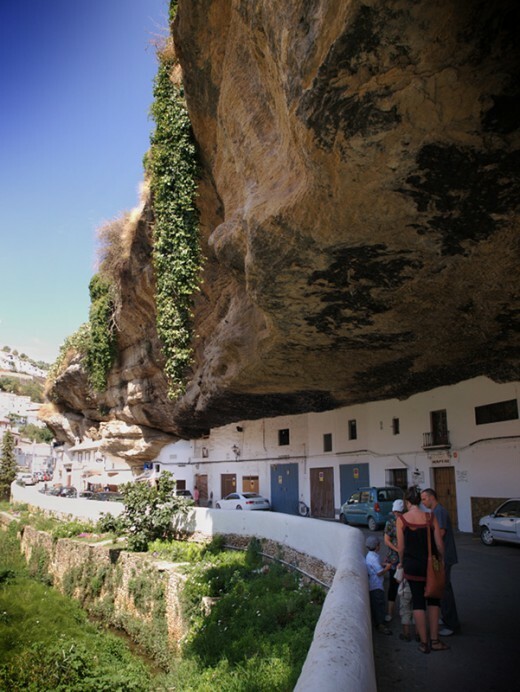 Setenil de las Bodegas is a town (pueblo) in the province of Cádiz, Spain, famous for its dwellings built into rock overhangs above the Rio Trejo. 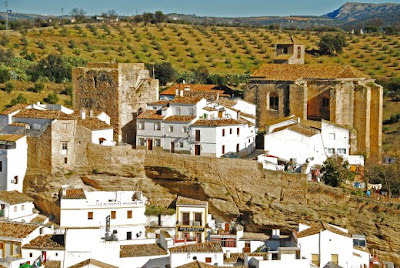 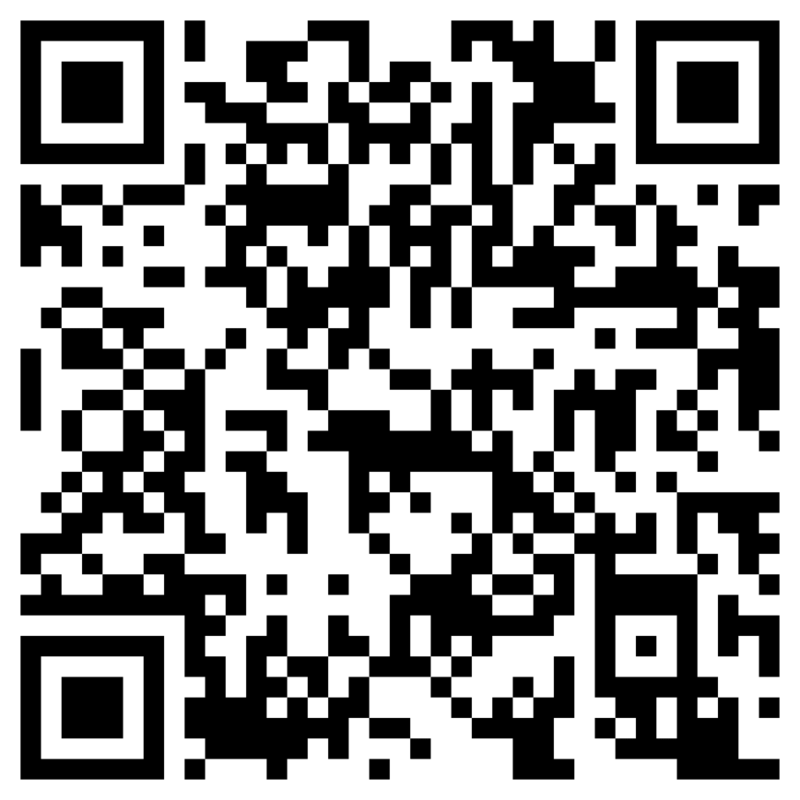 This small town (pueblo) is located 157 kilometres (98 mi) northeast of Cadiz. 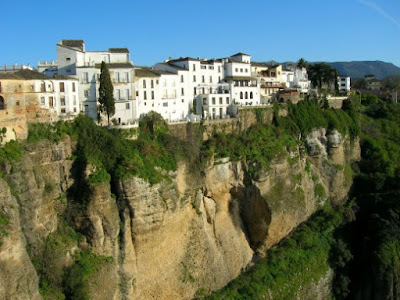 It has a distinctive setting along a narrow river gorge. 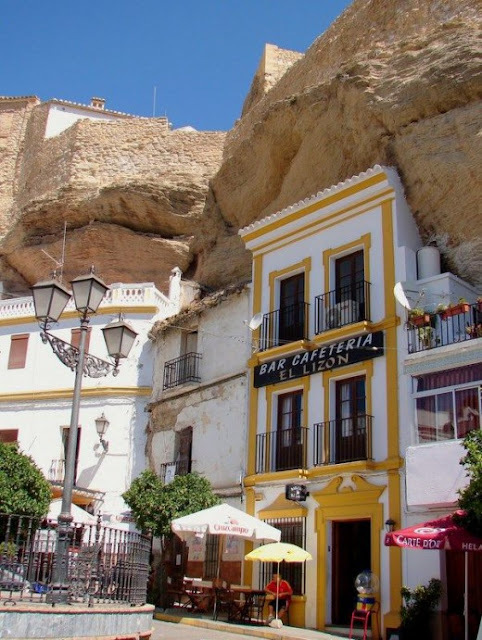 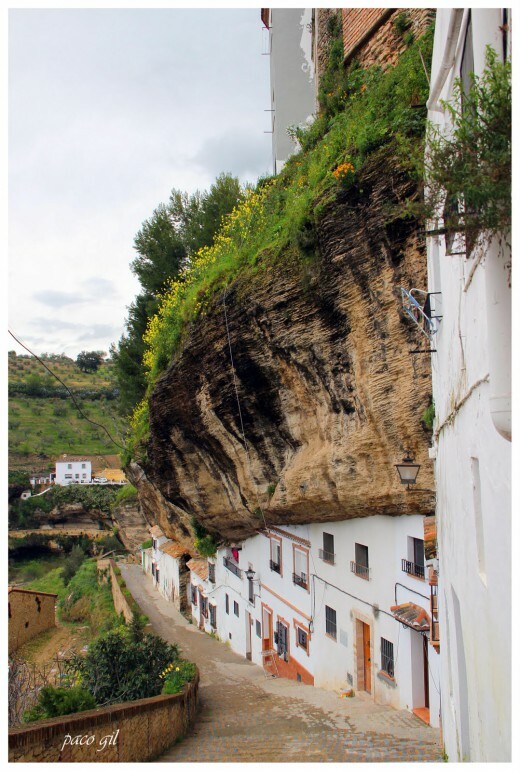 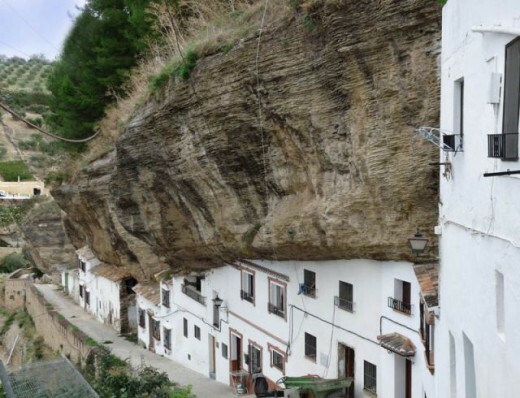 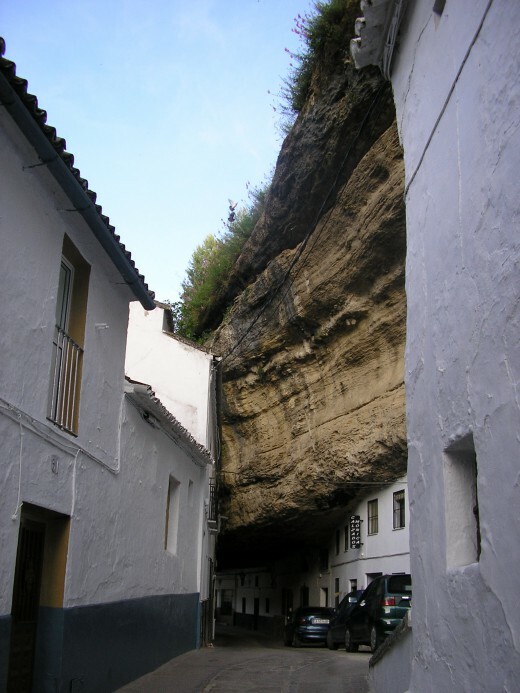 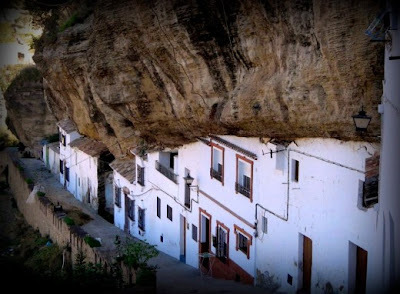 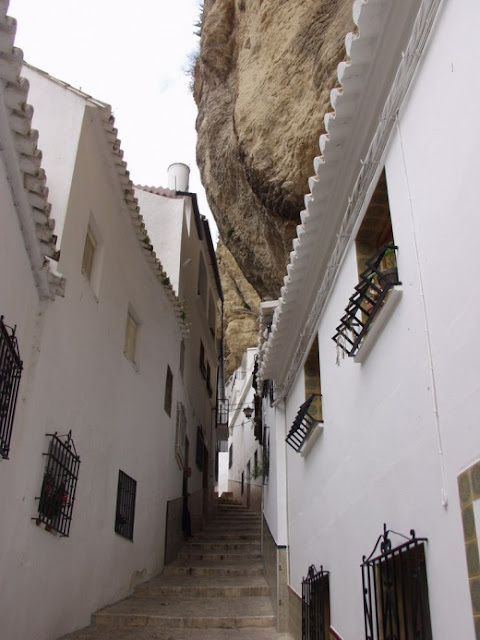 The town extends along the course of the Rio Trejo with some houses being built into the rock walls of the gorge itself, created by enlarging natural caves or overhangs and adding an external wall. According to the 2005 census, the city has a population of 3,016 inhabitants.